Freemousse is an Artist collective of three young creators. It was launched from a deep desire to interact in very dens urban areas, with original, experimental and surprising artistic creations. They propose to create a shape in the urban space based on vegetal creations, to mark the city ‘s transformation. This project provides a participative approach, and this would imply to create a strong connection with local actors and schools. 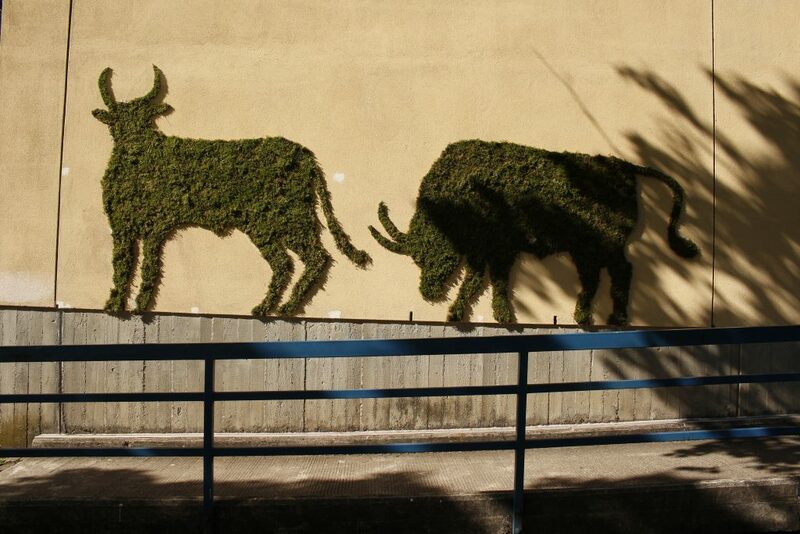 During the exhibition Vivacity the artists will install vegetable bulls on walls in the neighbourhood of Robertsau. This symbol was chosen to mark the rural past of the neighbourhood.